Baird Adds The Jester Group, Opens First Wealth Management Office in Chapel Hill, N.C.
Chapel Hill, N.C. – Oct. 31, 2017 – Baird, an international, employee-owned wealth management, capital markets, private equity and asset management firm, announced today that it has added The Jester Groupand opened its first wealth management office in Chapel Hill, N.C. The Jester Group is led by veteran Financial Advisor C. Gene Jester, Director, CFP®, CPWA®, CRPS®. Jester is joined by veteran Financial Advisor Bert “Cort” Lester Bennett IV, CFP®; Senior Client Specialists Emma E. Jackson and Tracie Legg; and his son, David Jester, Associate. The new office is located at The Exchange at Meadowmont, 1414 Raleigh Road (Highway 54), Suite 420, Chapel Hill. Baird now has five wealth management offices in North Carolina, as well as investment banking and fixed income institutional sales operations in Charlotte and public finance operations in Winston-Salem. “We are very excited to welcome The Jester Group to Baird, and expand our North Carolina footprint to include the great community of Chapel Hill with the addition of these talented and esteemed financial professionals,” said Matt Curley, Divisional Director for Baird’s Private Wealth Management group. 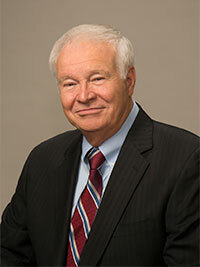 Jester brings 30 years of experience to Baird. Most recently, he was a financial advisor with Morgan Stanley. He received a bachelor’s degree in English from Ouachita Baptist University, a Master of Divinity from Duke University, and a Doctor of Ministry from Southeastern Baptist Theological Seminary. He resides in Mebane, N.C., with his wife, Jeannie. 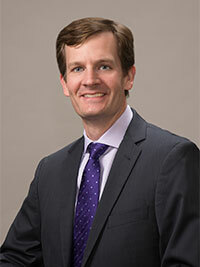 Bennett brings nearly 15 years of experience to Baird. Most recently, he was a financial advisor with Morgan Stanley. He graduated from Wake Forest University with a bachelor’s degree in psychology and a master’s degree in business administration. Bennett currently resides in Chapel Hill with his wife and two children. Baird’s Private Wealth Management business encompasses approximately 860 financial advisors serving clients through 90 locations in 29 states, and has client assets of $126 billion.